Trying to use the ASP.NET azure SDK for downloading images from blob storage.. I read in another post that DownloadToStream does break blobs up into smaller pieces and downloads them in parallel in order to increase performance. I believe this is what DownloadRangeToStream is for. I have not been able to find any documentation or code confirming this statement about DownloadToStream, and am skeptical because it has the same runtime as just downloading straight from the blob url (.5-3s per download). Here is the code for both my download methods, giving about the same performance. I am trying to increase the download time of images that range from .5-12 MB. I tried to implement my own DownloadRangeToStream method for these images, the code for that is below. Do I need to do this or does DownloadToStream do it for me already? This method yields the same runtime as the DownloadFromBlob method above.. When using DownloadRangeToStream, you could break your blob up into smaller pieces and download them in parallel by yourself in order to increase performance. Here is my code snippet, you could refer to it. 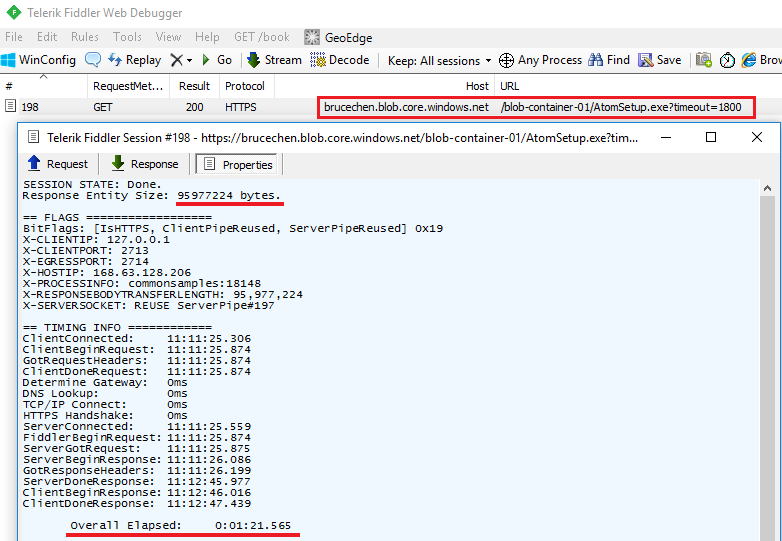 Additionally, there are some blogs about upload/download blob in parallel, you could refer to them (blog1 and blog2). Not the answer you're looking for? Browse other questions tagged c# asp.net azure azure-storage-blobs azure-sdk-.net or ask your own question. Why is CloudBlockBlob.DownloadToStream always returning an empty stream?